Sometimes I create what I call a “mother image” such as Good Wood and then create derivative pieces from the it. Faces In The Wood is such a piece. 2 Comments to "Faces In The Wood"
Thanks very much, David. This piece actually derived from a photo of a piece of wood. Your comment makes me happy that I was able to keep the feel of the wood throughout the creative process. 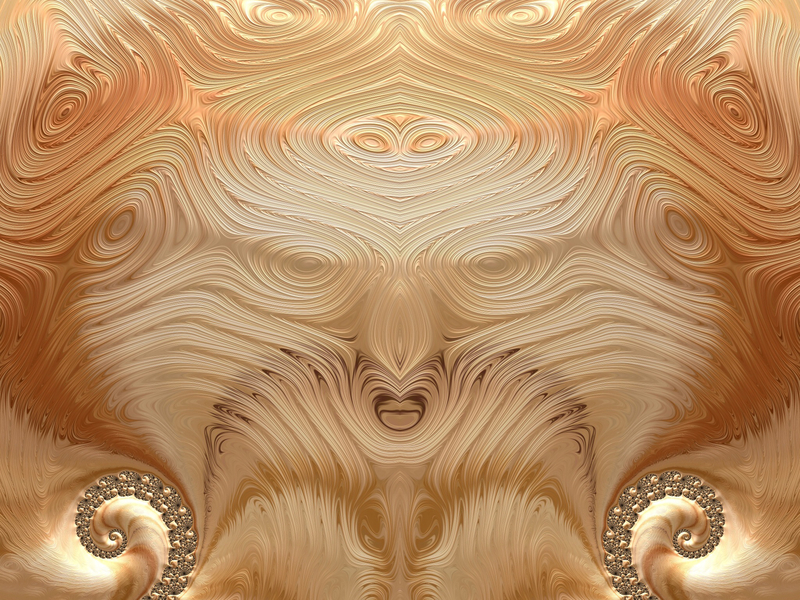 Beautiful fractal. I love the wood grain feel.